Better Project Management with Plan On a Page - Get Going. Get Done. Get Results. Are You a New Project Manager? Learn how to accelerate your career by reducing your project management learning curve. Learn how to increase strategic implementation success by strengthening the linkage between strategy and projects. Help Project Managers successfully implement strategy. Are You a Consultant or Advisor? Learn how to increase the value of your services by increasing your engagement planning, plans & execution ability…and your service offerings! Are You an Experienced Program or Project Manager? Learn how to increase your success with a New Way of Thinking About Planning…and new, proven ways to avoid preventable problems with projects. Are You an Event, Program or Training Manager? Are You an Event, Program or Training Manager? 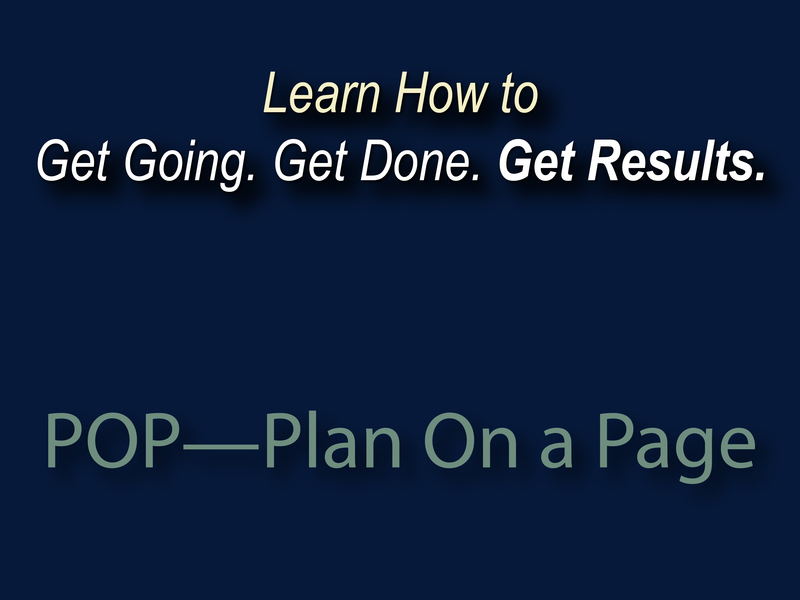 Learn how to enhance your planning, plans & effort execution skills with the Plan On a Page. Are You an Executive, Manager or Business Owner? Learn how to drive cost, time and risk out of your organization’s execution…increase performance and profitability…and gain a competitive advantage though improved & simplified planning. The Plan On a Page is the quickest, easiest and most effective planning approach for any effort. Use POP to ensure your projects, products, strategies, programs, events, and other efforts are Planning for Success; not Destined for Failure. 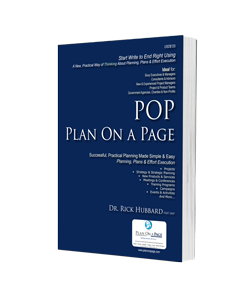 Plan On a Page Training is available directly from the POP-University.